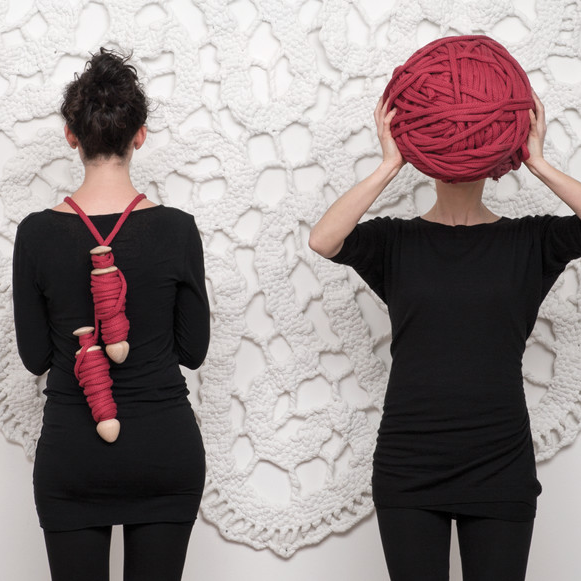 This exhibit is curated by Minima and includes work from Klip Collective, UNpizzo, MIO, Living Divani, Porro, and Moooi. MIO was founded by the Salm brothers (Isaac, the numbers guy and Jaime, the design guy) with the objective of merging business rigor with environmentally and socially progressive design. Their mission is to give people the power to design living spaces with beautiful, sustainable and highly personal product experiences. Living Divani's distinguishing features of perfect, harmonious proportions and a feeling of understated luxury has made its trademark of upholstery. Since the early 1970s, the dynamic and vibrant family-owned company has followed a clear path, maintaining an intensive dialogue with the contemporary world and becoming one of the landmarks in the design landscape. Strategic is the alliance with Piero Lissoni: since 1988 he has led the firm’s unique style in his dual role as art director and designer. Over the years Living Divani has developed a vast and varied offer in a gradual process of creation of a complete living environment, which revolves around the upholstery system, with its subtle shapes and proportions, to ombine with characterful complements - seats, armchairs, beds,tables, bookcases and carpets and an outdoor collection - that will suit and define any setting, from the essential and rigorous to the multifarious and eclectic décor. Porro is managed by the Porro family since 1925. The company supports a unique furnishing philosophy, matching handicraft tradition of the time with the most modern advanced manufacturing and information technologies. The furnishing culture as family wealth, together with the diktats, production is based on, that is formal cleanness, shape and function geometry, are the buttonholes allowing Porro to consistently get a more and more consistent international market share without forgetting or betraying its origins. A Clear and simple project, standing out for its essential and immediately identifiable language, with minimal signs, geometries, shapes, without forgetting its unique company philosophy: simplicity above all. 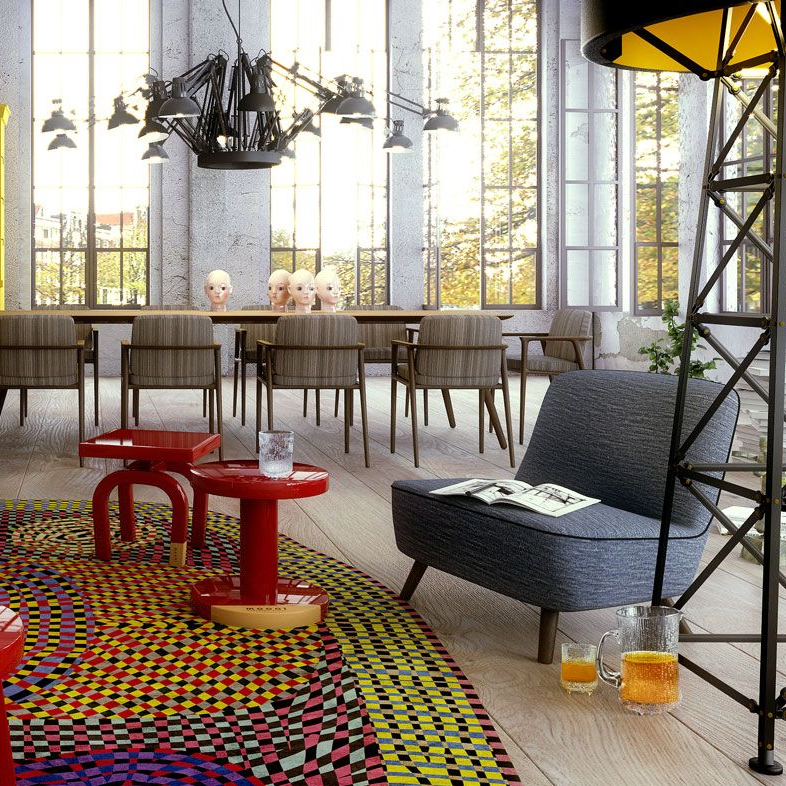 Moooi has inspired and seduced the world with sparkling and innovative designs for fifteen years. The venture was founded in 2001 by Marcel Wanders and Casper Vissers is named after their native Dutch word for beautiful – the third ‘o’ in the brand name stands for an extra value in terms of beauty & uniqueness. With this unique and iconic mix of lighting, furniture and accessories, which outlast everyday interiors, Moooi creates interior environments decorated with an inspiring variety of patterns and colours to embrace any kind of space and make people of different ages, cultures and personalities fall in love with their homes. This unexpected home vision brings to life a whole world of new ideas and inspiring complete Moooi settings to brighten up daily life with a touch of magic. They represent places where visions converge and where everyone can stop and feel comfortable within the perfect eclectic mix of culture & experiences that makes a home environment more beautiful and unique. To celebrate its birthday, starting from the ideal of a “closet”, typical of its activity and stressing once more the company search for new materials, Porro involved all the designers who in time designed the company collections and some other special names to design a wood box collection, mixing at ease the company 16 woods, different in function and opening as well. A series of curiosities translated in “extrasmall scale” the high technical quality, matter and appearance of any brand proposal furthermore stressing the company unique capacity to follow the designer wishes but offering at the same time the widest possible number of tailor-made proposals.